Droplets of Dew Earrings in Mint Only $9.99! You are here: Home / Great Deals / Droplets of Dew Earrings in Mint Only $9.99! Is that a drop of spring dangling from your ears? 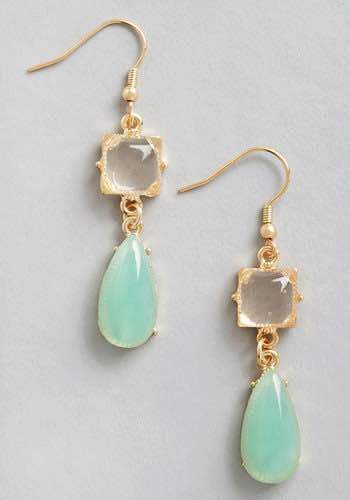 You’ll be the envy of all with these Droplets of Dew Earrings in Mint for Only $9.99!